A beautiful model of the armoured dinosaur called Kentrosaurus. A Schleich Conquering the Earth Kentrosaurus dinosaur model. A super, hand-painted Schleich Kentrosaurus dinosaur model. A wonderful, armoured dinosaur from Schleich. 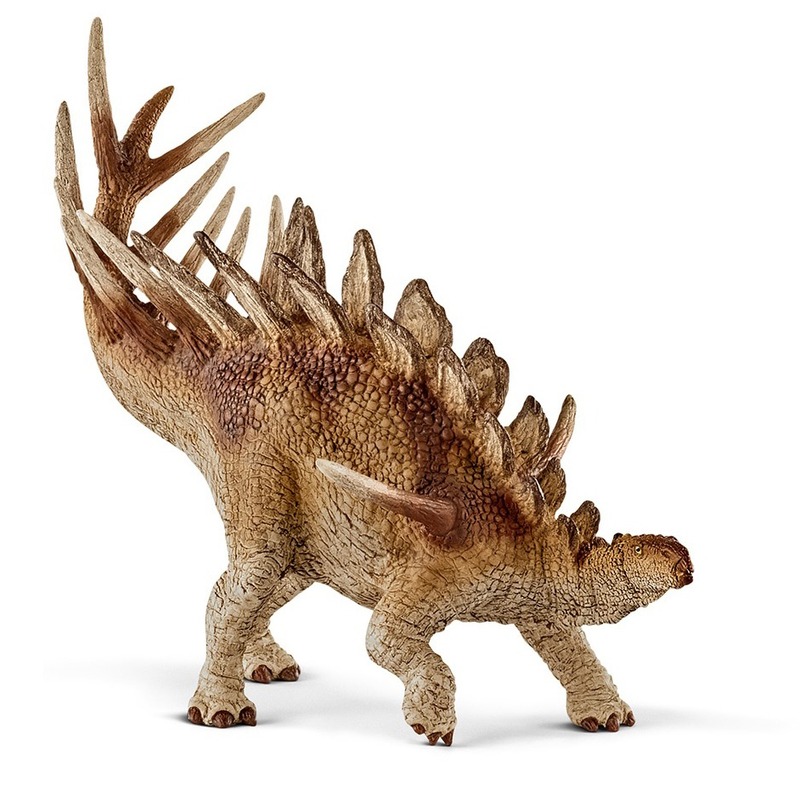 A member of the Stegosaur family, a Schleich Conquering the Earth Kentrosaurus dinosaur model. Length 16 cm approx. Height of tail spikes 10 cm approx. 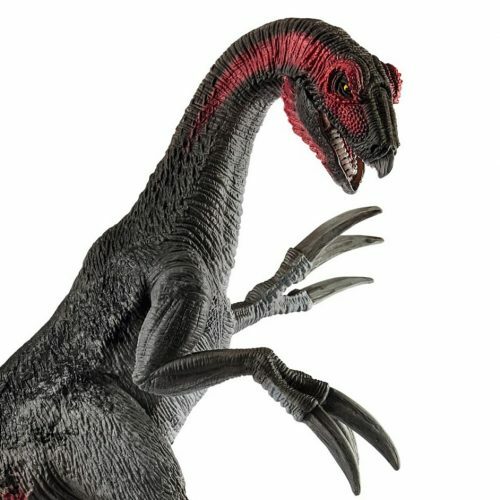 Schleich’s Kentrosaurus is one of this company’s best models by far. The head detail is exquisite, the pose is very non static, into action, the skin fold detail is great and the swishing tail. It’s a lot smaller than most of the Stegasaur models out there. In terms of scale he looks incredible next to papo’s Steg. A true representation of the Stegasaurus’s little cousin. Kids would love this dinosaur too because its ready for action. Recommended. This is great model. The detail and accuracy rivals Papo models. Probably the best detailing and realism Schleich have come up with to date. The dynamic pose gives a sense of movement and great if you want to display him interacting with another dino model. If you are a collector I suggest you get this one as we might just be seeing the first in a line of superior sculpting from Schleich. He may be ”spikey” but their are no hard or sharp ends so he should be quite safe for a child. As usual friendly, helpful service from ED. Posted the day after ordering and arrived the following day. I always seem to get my orders from Everything Dinosaur within 48 hours of ordering …fantastic! A superb model that stands as one of the best dinosaur models available, let alone the best Schleich have produced yet. The attention to detail and skin textures and pose suggest that the original sculptor is someone very familiar with living animals. The colour scheme is unusual, striking yet very convincing. It’s also beautifully applied, down to the bright yellow eyes and cream toenails. Look at the thoughtful growth lines in the spines! This really looks like an animal that has had a life and has history. It is utterly super, as are the team at Everything Dinosaur! Probably the best of schleich’s models to date. The pose is very active, as if the Kentrosaurus was defending it’s mate or young from a hungry Allosaurus – and the colours are bright but more naturalistic than some of schleich’s other products. All round a wonderful addition to the herd.